Ah, January! The new year’s new you is all about setting goals and looking forward to fresh possibilities. But there’s nothing like the chilly season’s colds, aches and pains to knock you off course — just when you started to feel motivated. 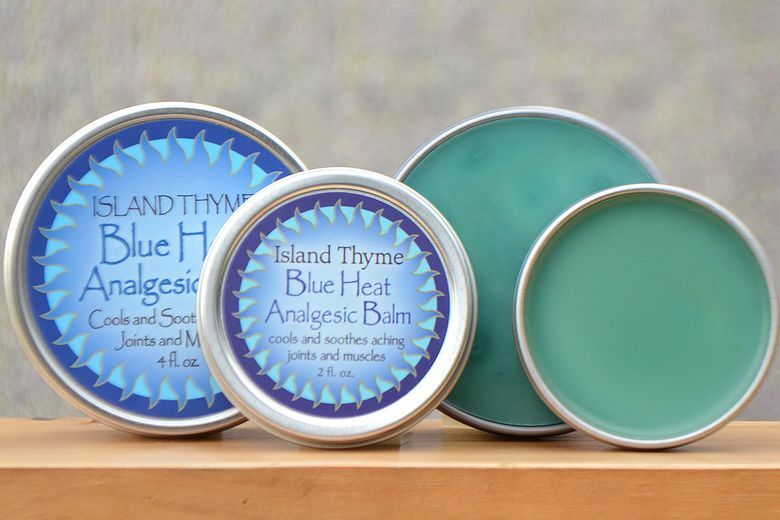 Enter Island Thyme’s Blue Heat Analgesic Balm to help diminish winter woes. This triple-threat salve tackles soreness (hello, first ski trip! ), headaches and minor respiratory issues — all while sporting a pretty blue hue. Made in small batches from organic ingredients at their farm and studio on Orcas Island, Island Thyme owners Chris and Eliza Morris combine soothing elements such as arnica, eucalyptus and menthol crystals to create the rub — a gentler version of their popular Deep Heat Balm (but don’t forget to wash your hands after use, it’s still potent!). Boasting a minty fresh aroma, tins are available in two-ounce and four-ounce sizes — perfect for tossing in a purse or carry-on while on the go.